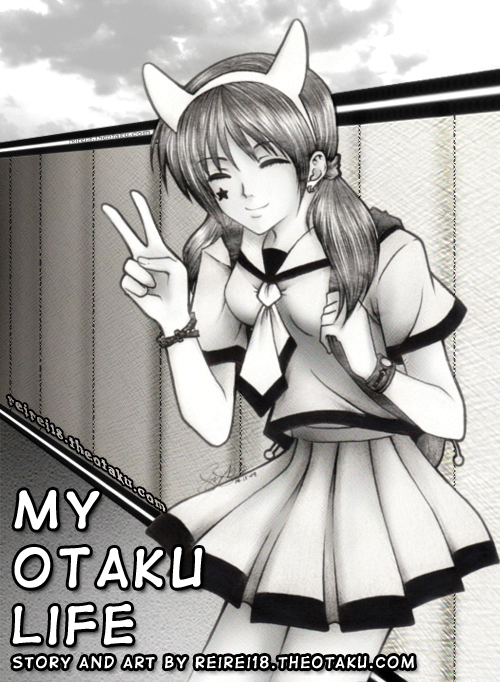 My otaku life… Behind the scenes.. My life in theotaku.com and as a whole otaku..
Reirei – myself and my other selves.. I just felt like putting some life into my previous drawings.. A slice of life. I think they fit especially for this title.. I might feature artist without permission.. =P So far I’ve only “planned” to include close friends and artists that I feel like hugging in person. A persona or their original characters will be used to represent them in this story.